Adults can stay warm wearing our Abyssinian Cat Hoodie from The Mountain®. 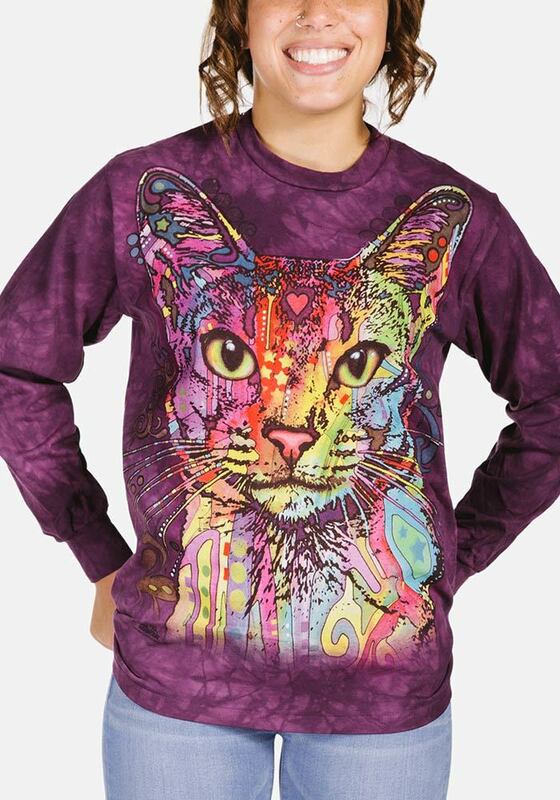 This unisex hooded sweatshirt features a pop art cat design by artist Dean Russo. The pullover sweatshirt has a jersey-lined hood and front hands pocket. Pre-washed, pre-shrunk ready to wear. Artist Corner: Dean Russo is a New York artist who has a passion for colour and animals. His pop art features all genres but closest to his heart are animals. Dean's art can be found on our t-shirts, hoodies, baseball caps and giftware.